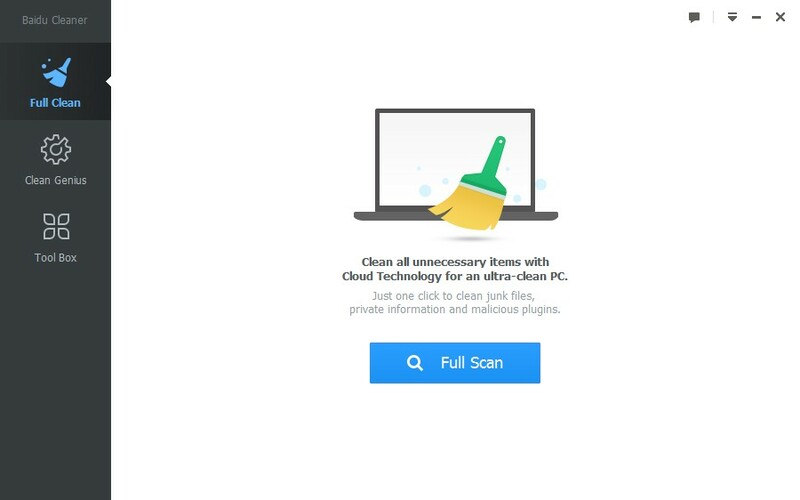 OnDemand Online malware scan & removal tools help in scanning & removal of malware from your computer. The detection is done in cloud so you need to have a live internet connection for these tools to work. Thats why the size of these tools are small. Malware types that will be scanned are viruses, worms, Trojans, and spyware. 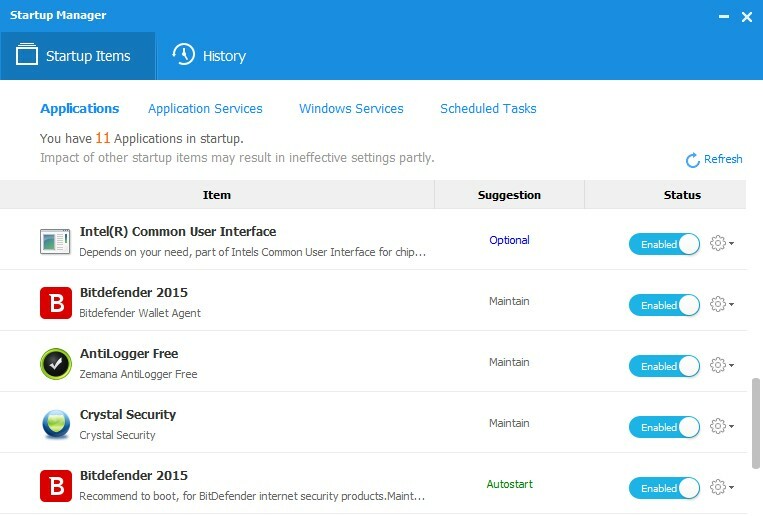 It can be used along with the installed realtime antivirus software without any compatibility issues. 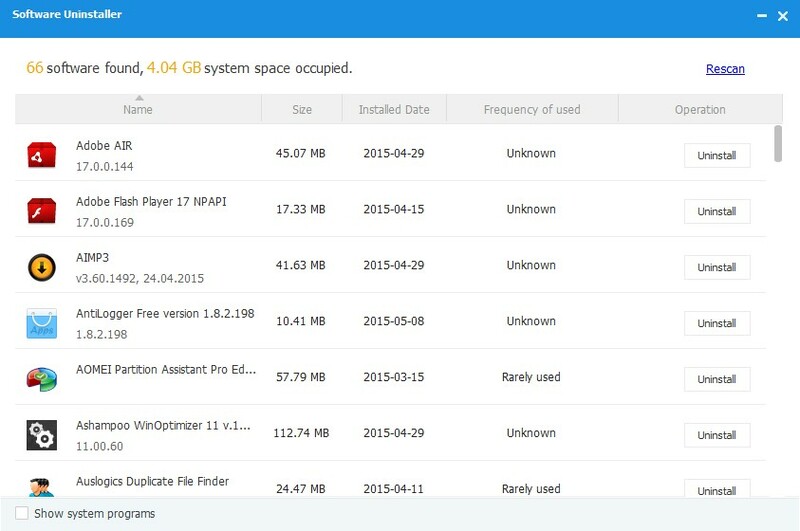 You can run it anytime and scan any specified files/folders. 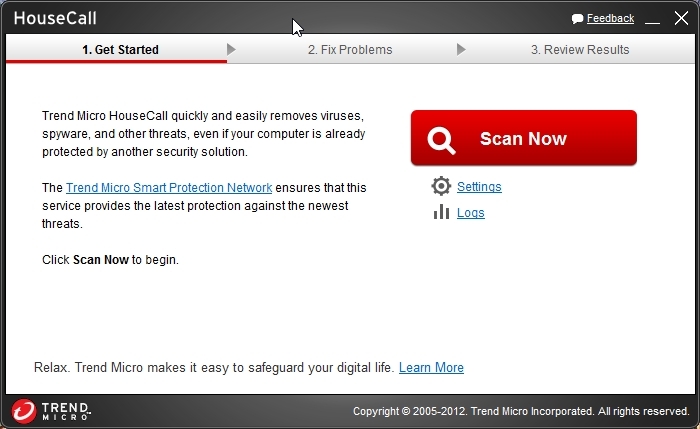 HouseCall is Trend Micro’s highly popular and capable on-demand antivirus software scanner for identifying and removing viruses, trojans, worms, unwanted browser plugins, and other malicious software. 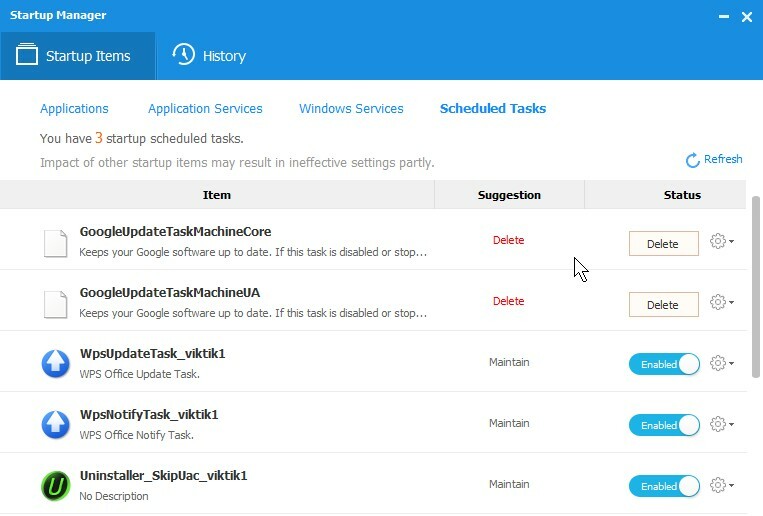 It features an intuitive interface and the ability to perform fast scans that target critical system areas and active malware. 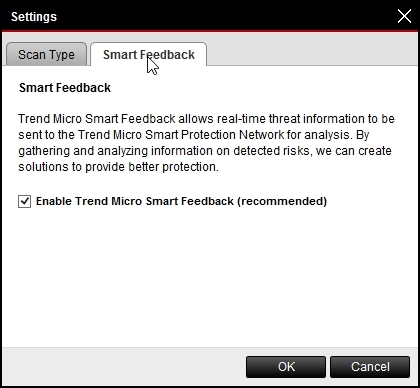 It also leverages the Trend Micro Smart Protection NetworkTM to help ensure that scans catch the latest threats. Download housecall and run it. 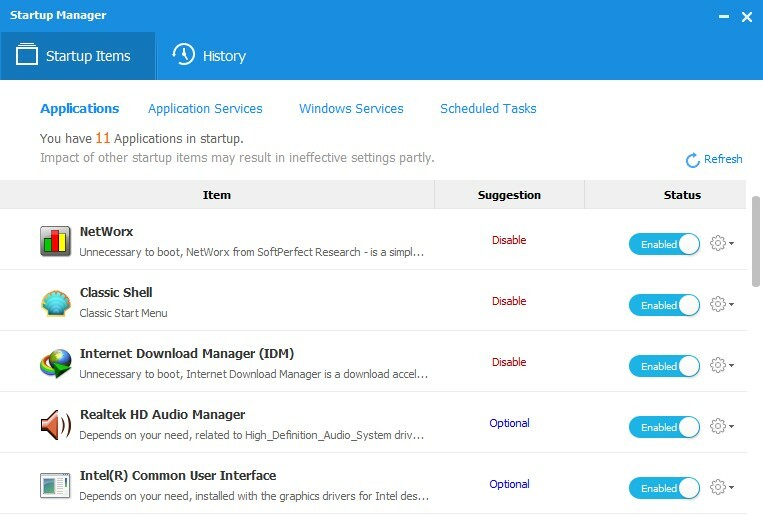 It will download some components from the internet. 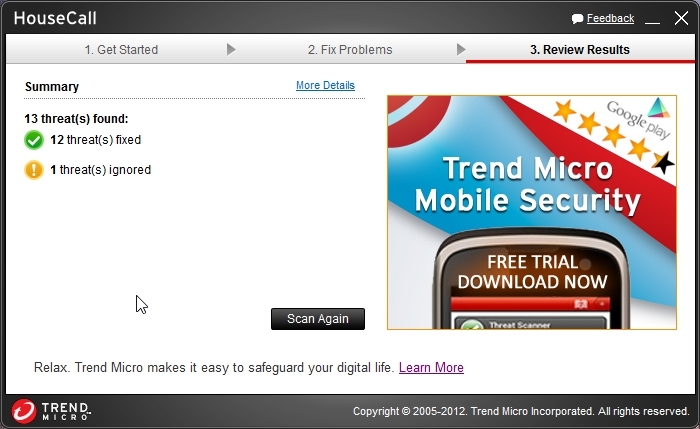 This is the main interface of trend micro housecall. In settings you can select what to scan. It detected some threats. 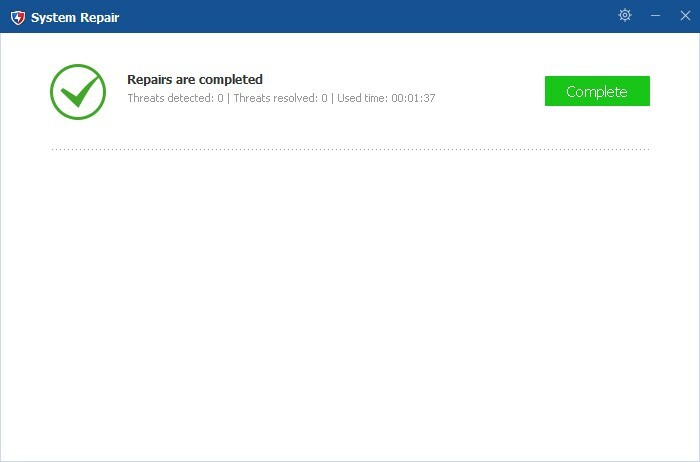 Click “Fix now” to start removal of threat. 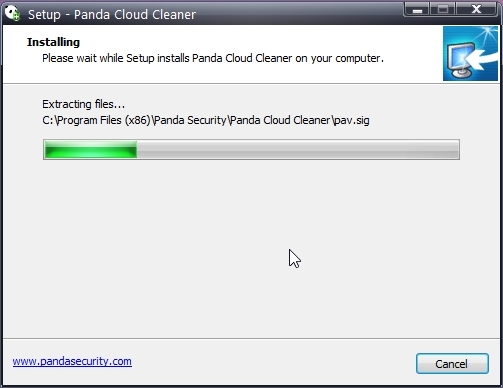 Panda needs to be installed to work. 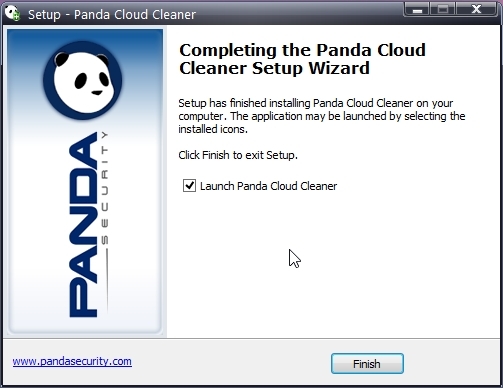 Panda cloud scanner main interface. 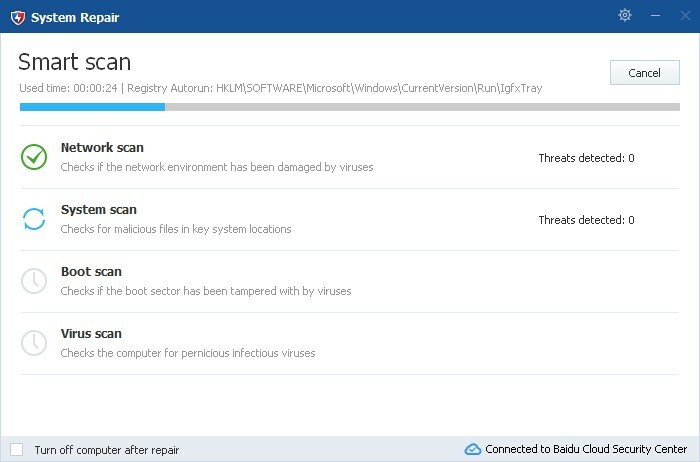 It lets you do standard scan to search for active malware. 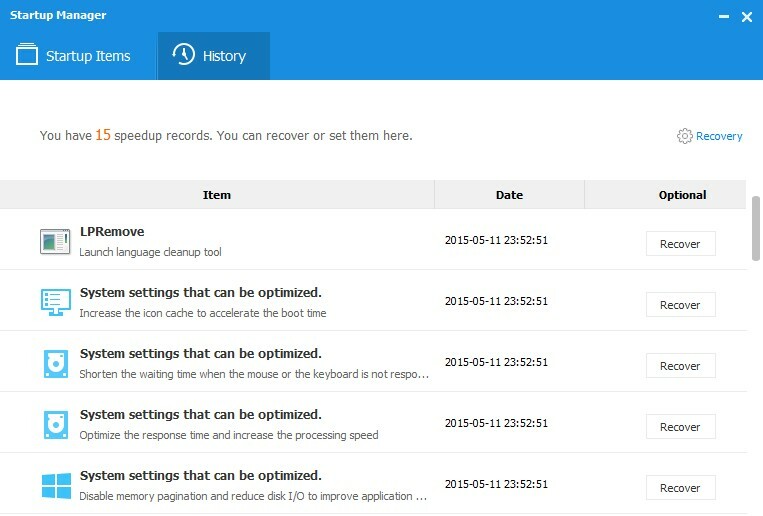 Analyse all PC scans whole computer. 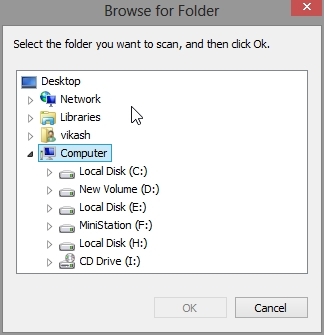 Analyse other elements lets you do custom scan in which you can specify which folder has to be scanned. 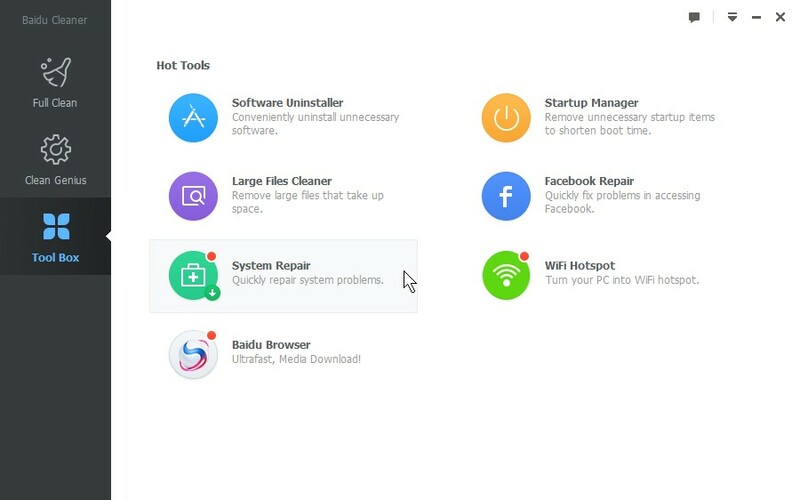 Harmful items (malware, spyware, viruses and Trojans) can impact device and Internet performance, slowing down connections and affecting usability. They also pose a risk to consumer privacy. Private credentials like passwords can be stolen, providing cyber criminals with access to online bank accounts, social media accounts, and other personal data. 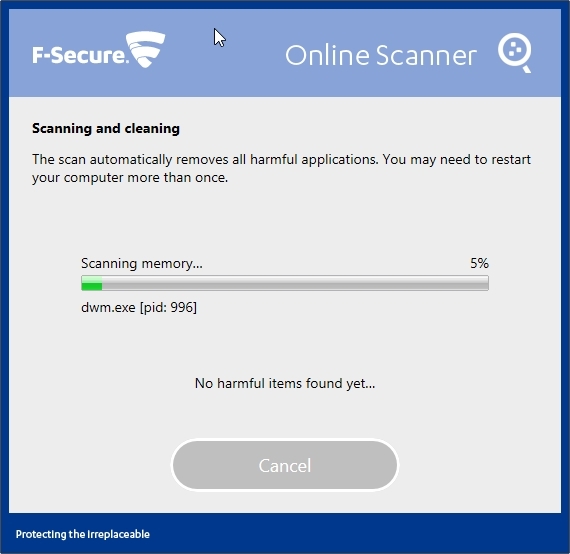 F-Secure Online Scanner finds and removes harmful items from your PC. 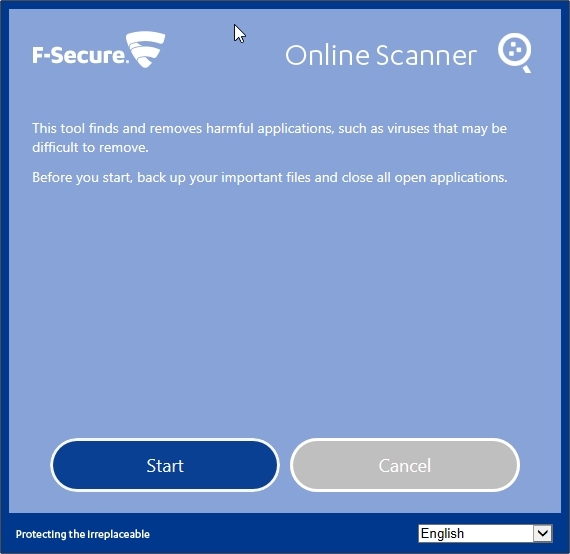 Online Scanner helps to get rid of viruses and spyware that may cause problems on your PC, and it works even if you have another security software installed on your computer. 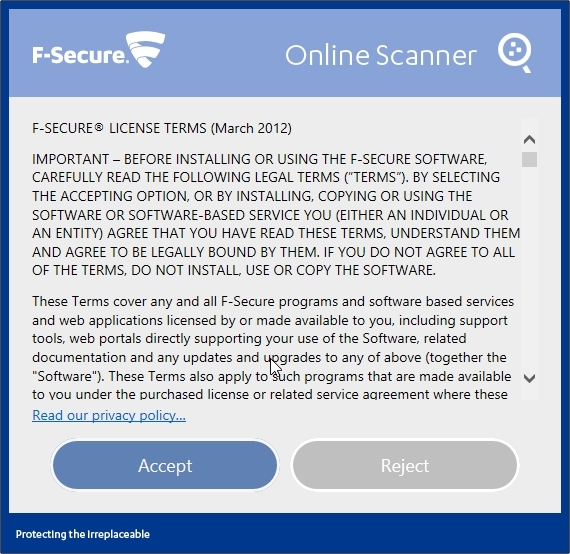 F-Secure Online Scanner is easy to use with just a couple of clicks: just download it and run it. 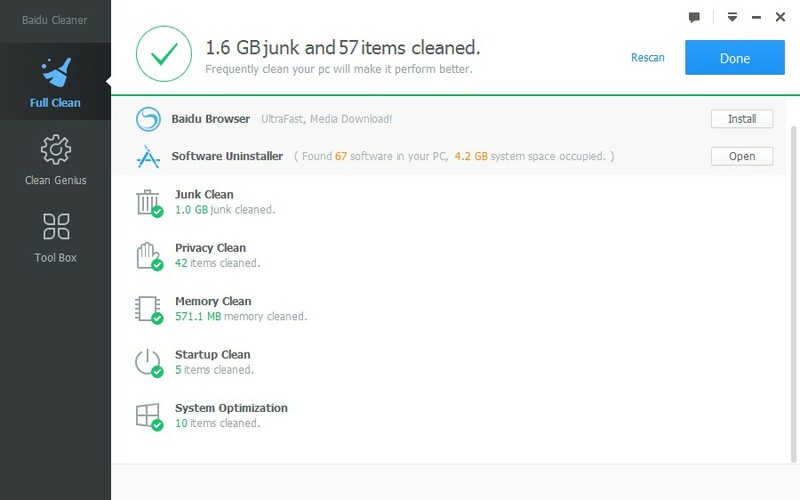 It does not leave anything on your PC. 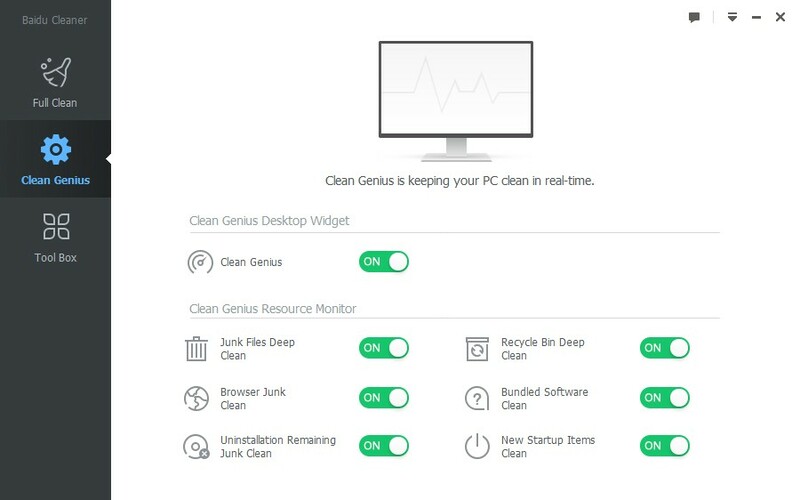 Online Scanner cleans your PC. 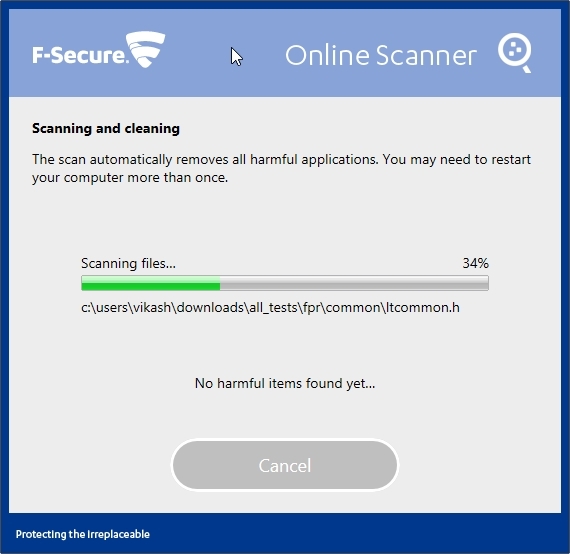 This is standard and simple scan the scans for active malware. There is no custom scan available. 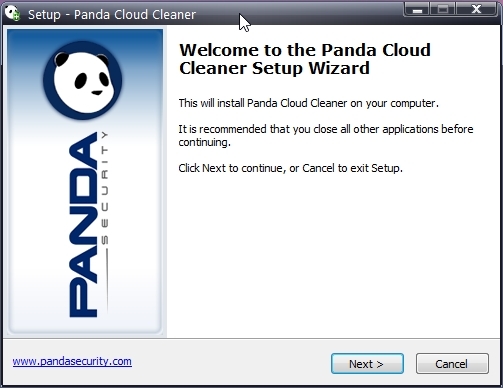 Eliminates deeply embedded and difficult to remove crimeware that traditional virus scanning doesn’t always detect. 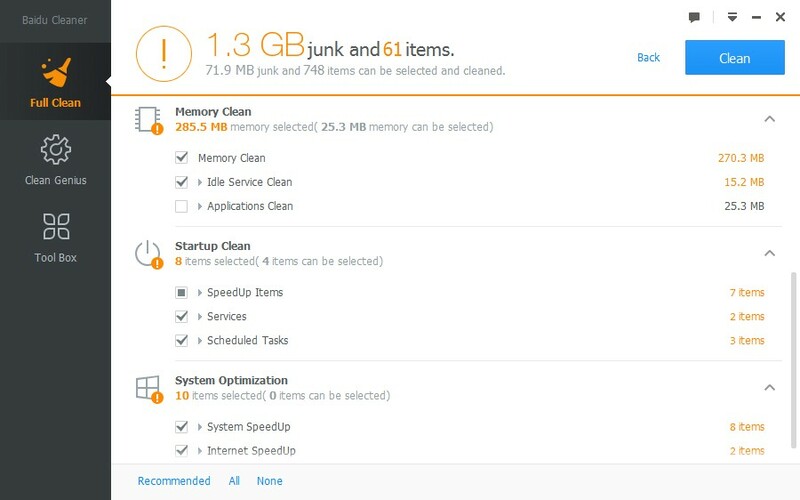 This powerful FREE tool from Symantec detects and eliminates difficult-to-remove threats, rootkits, and unique types of crimeware like scamware that cost unsuspecting computer users as much as $150 million per year. 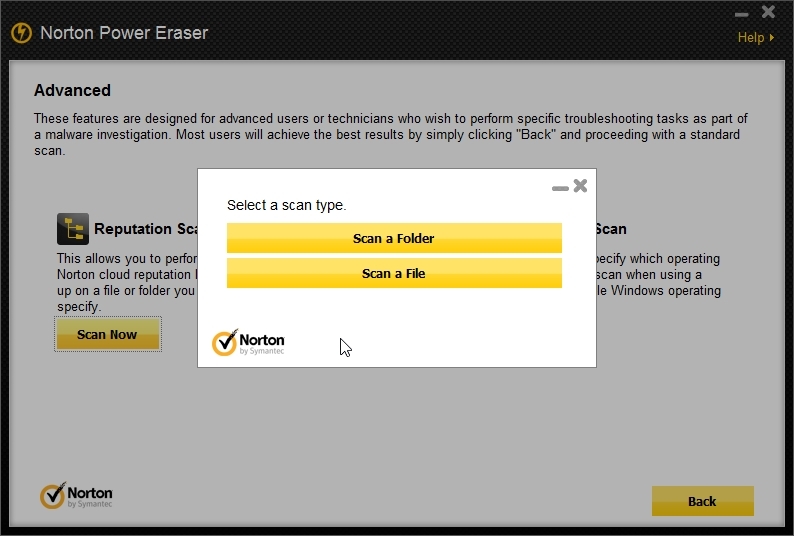 The NEW Norton Power Eraser takes on difficult to detect crimeware known as “scareware” or “rogueware” that cybercriminals use to trick you into unknowingly downloading threats onto your computer. 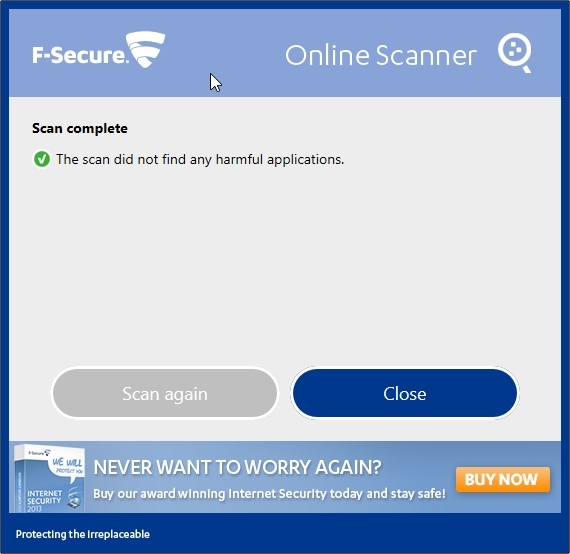 This growing form of crimeware uses bogus pop-up alerts or security messages that scare you into thinking your computer has been infected and needs to be fixed immediately. 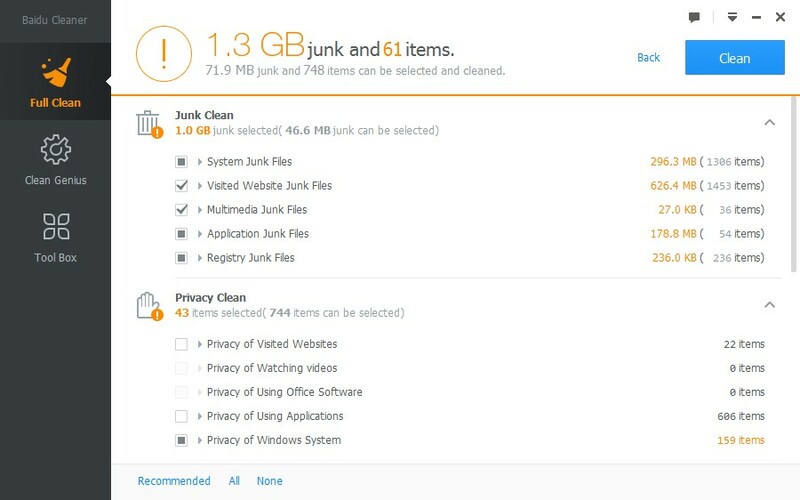 It can be so tricky that it can automatically download onto your computer even if you don’t actively click anything! 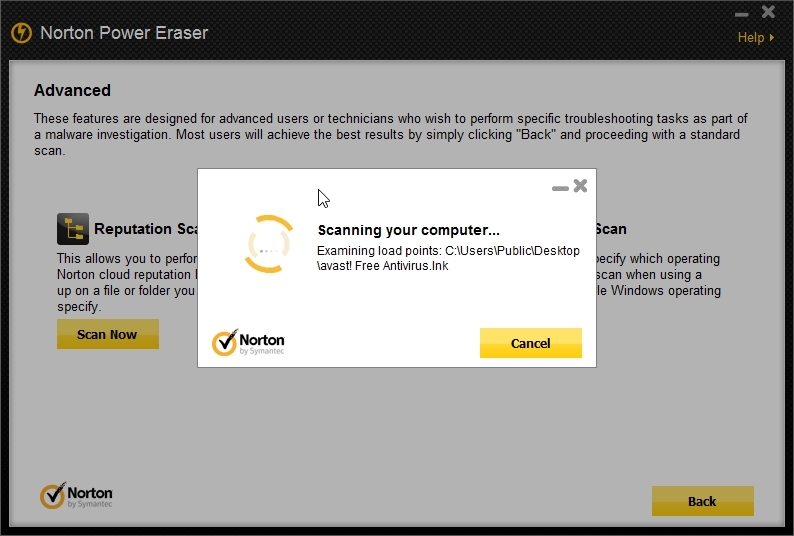 The Norton Power Eraser is specially designed to aggressively target and eliminate this type of crimeware and restore your computer back to health. 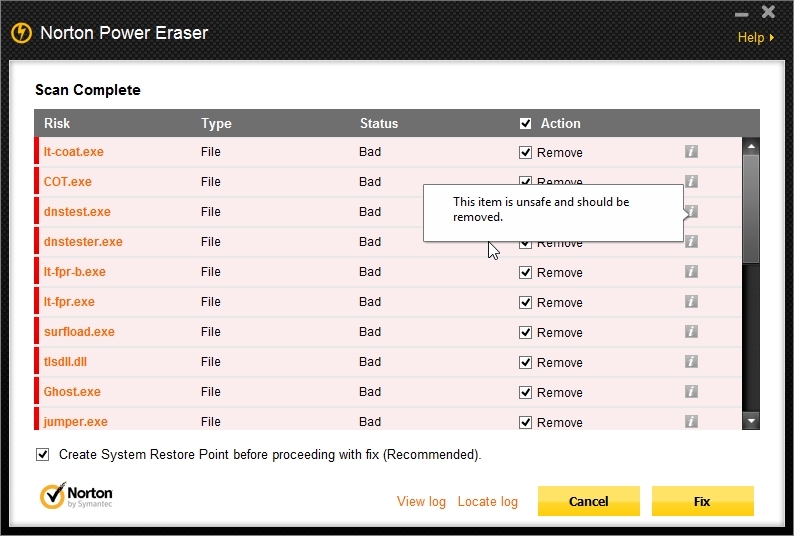 You should use Norton Power Eraser only when nothing else will remove the threat and you are willing to accept the risk that the scanner may quarantine a legitimate program. 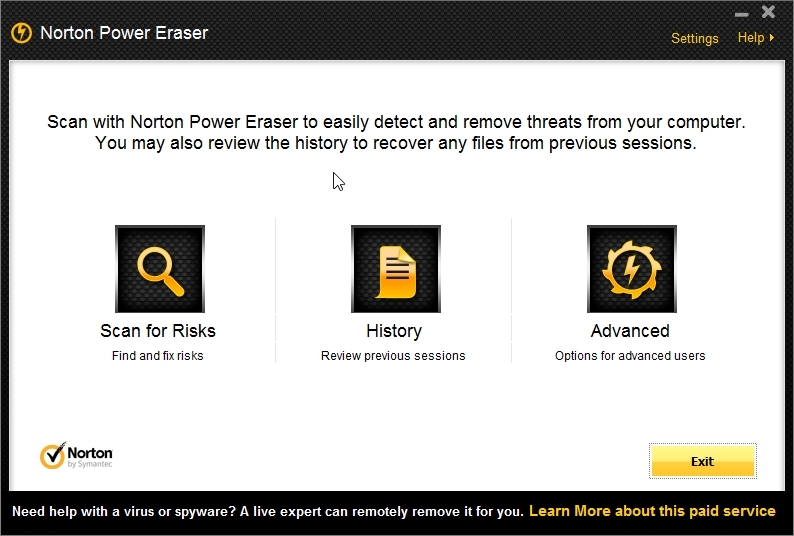 Norton Power Eraser is specially designed to aggressively target scamware. 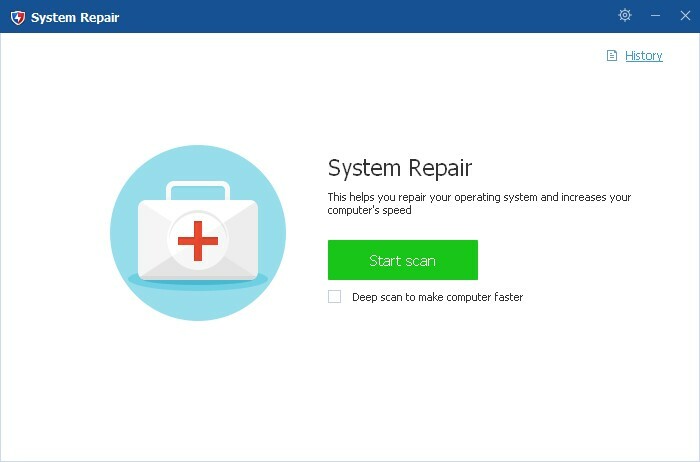 It uses our most thorough scanning technology to eliminate threats that traditional virus scanning doesn’t always detect, so you can get your PC back. 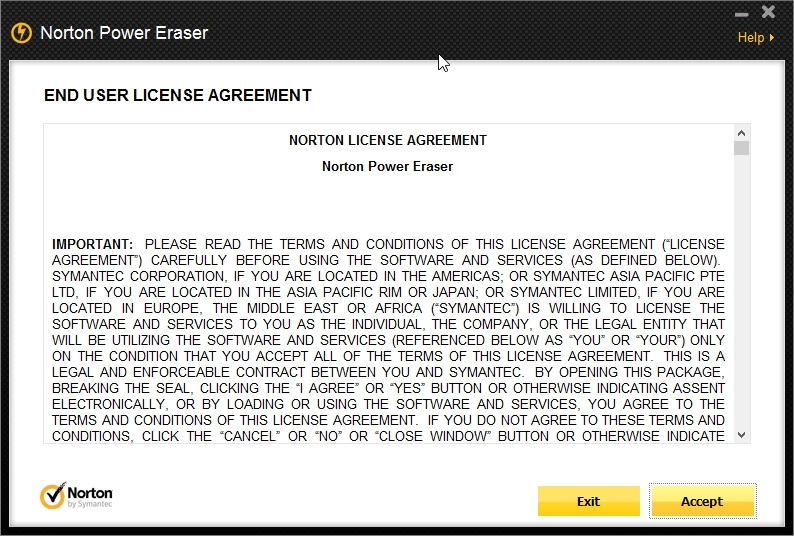 Download and run Norton power eraser. 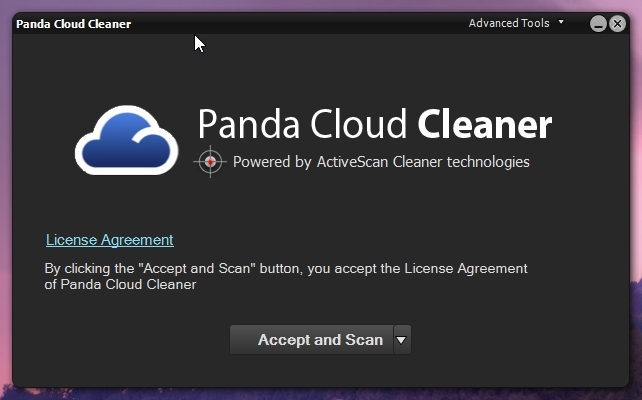 Advanced lets you choose which type of scan you want to do. 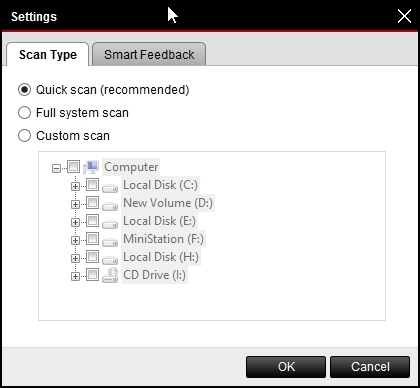 Reputation scan lets you scan specified file or folder. 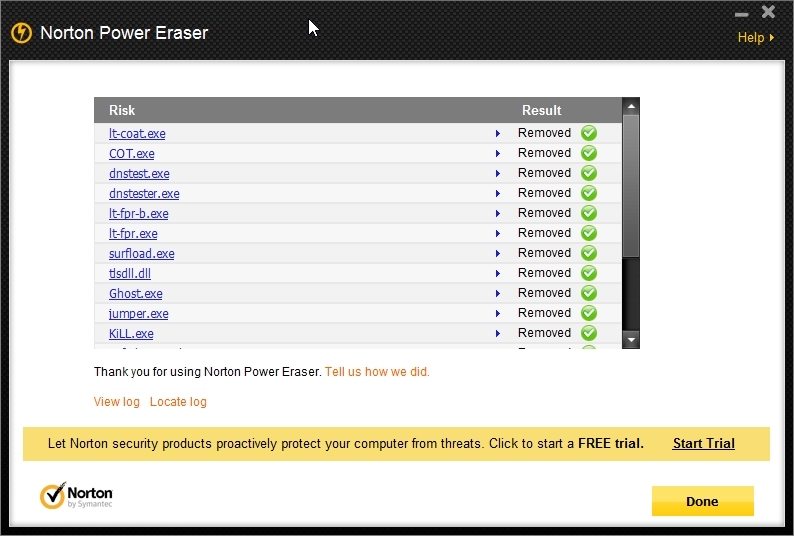 Norton detected some threats. Very good detection rate. 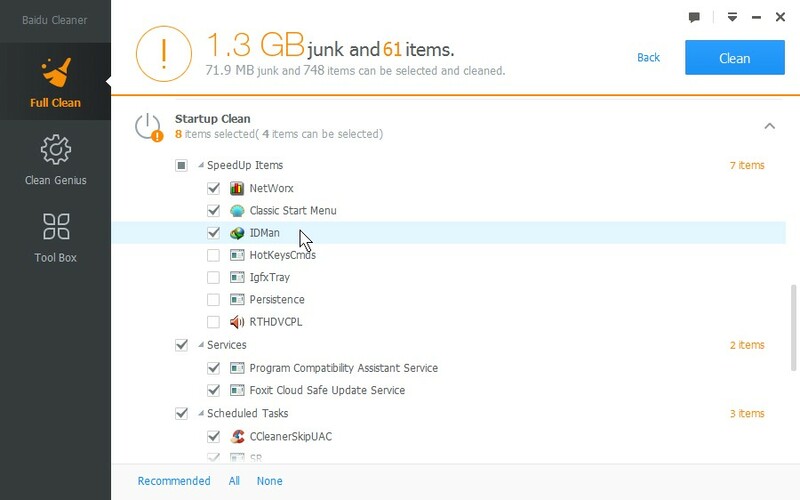 Norton made me restart the computer to remove these simple malwares which could have been simply deleted. 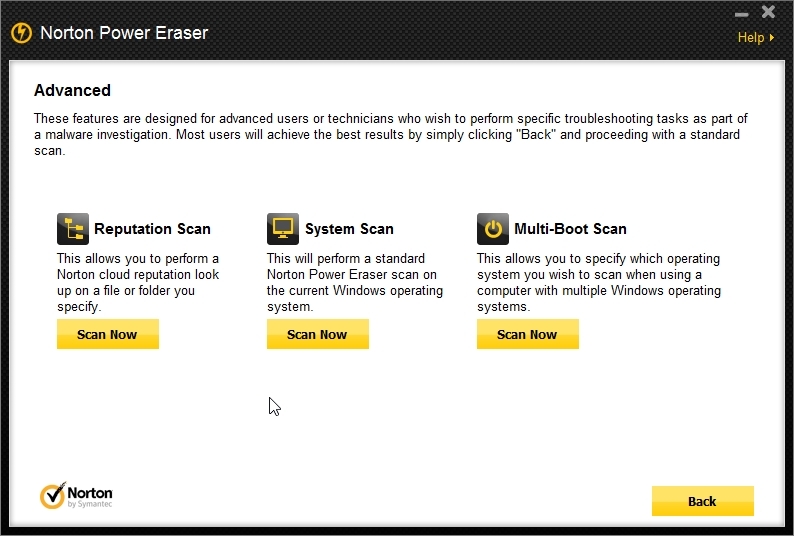 Norton system scan does standard scan which scans for active malware. 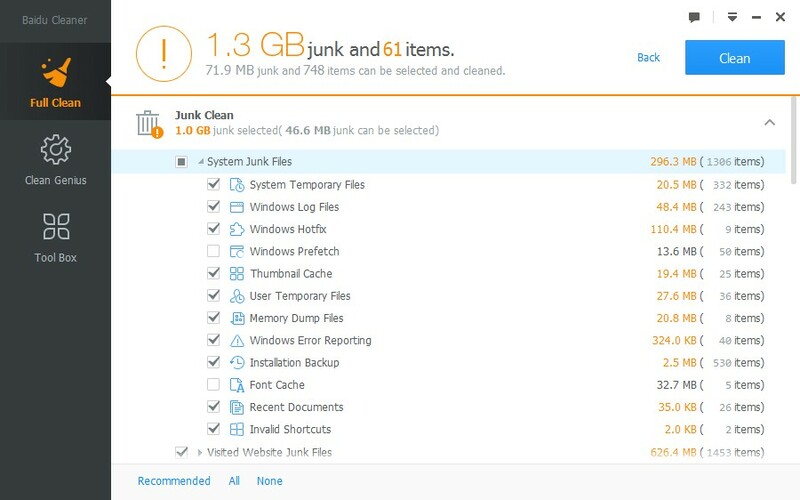 It is better you do whole computer scan. 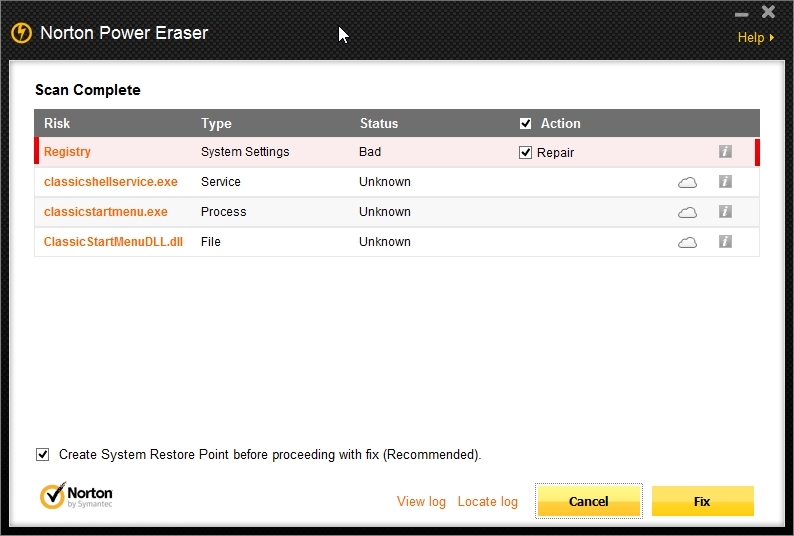 If you include rootkit scan then you will have to restart computer every time you start norton scan. 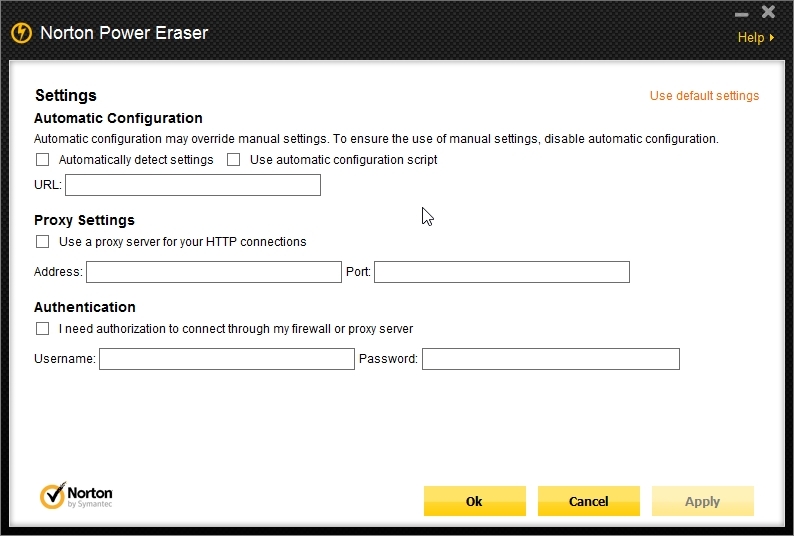 Proxy setting for internet connection.